Bolivian Customs laws are very strict because so much contraband is brought into the country. The government loses millions of dollars a year in revenues from import taxes due to this situation. Authorities rigorously inspect any shipments or items to ensure they do not contain weapons, stolen art or antiques, and other smuggled goods. They also inspect your luggage when you arrive at the airport. 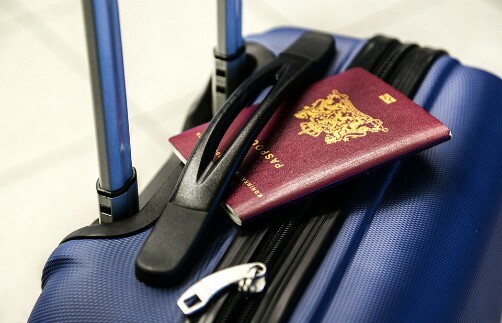 Click here to see which items are allowed to enter Bolivia tax free at borders and airports. Whether you import your household goods and personal belongings in your luggage as you enter the country, or ship your items in a container, certain items will be taxed. To ensure you keep your import duties to a minimum, be sure to bring receipts or invoices for items so that you can prove how much they cost. Make very specific packing lists and list all items, no matter how small or insignificant they may seem, and use this page to inform yourself about which items may be brought into the country legally, and which may be tax exempt. If you are moving to Bolivia and will be shipping your household and personal belongings through a shipping company, those items will also be inspected when they arrive (probably quite a long time after you do). To clear them from customs, you will need a good customs agent in Bolivia. You should also be aware you will be responsible for any import taxes on the total value of those goods, in some cases even if they are used, such as furniture, household electronics, jewelry, etc. If you are importing or exporting goods for business reasons you must be especially vigilant and ensure you are completely informed about any certificates of origin, phytosanitary certificates, or other permits you will need to prove you have paid for those items, they belong to you, you have paid taxes on them, and their exact origins are documented. If you break the law and import or export any illegal substance or item, fines and/or prison time can be severe in Bolivia. The items could also be confiscated and you could forfeit all ownership of them. If you are using a freight forwarder to ship your items to Bolivia, they should be able to provide you with the information you need; however, since laws in Bolivia change and/or are modified frequently, they may not have the most current information. You might also request information on Bolivian customs requirements and laws by contacting a Bolivian Embassy or consulate in your country before traveling or shipping anything. Or you can check out the official website of the Bolivian Customs Authority (Aduana Nacional).